Google using dark fiber to connect some San Francisco apartments and public housing. 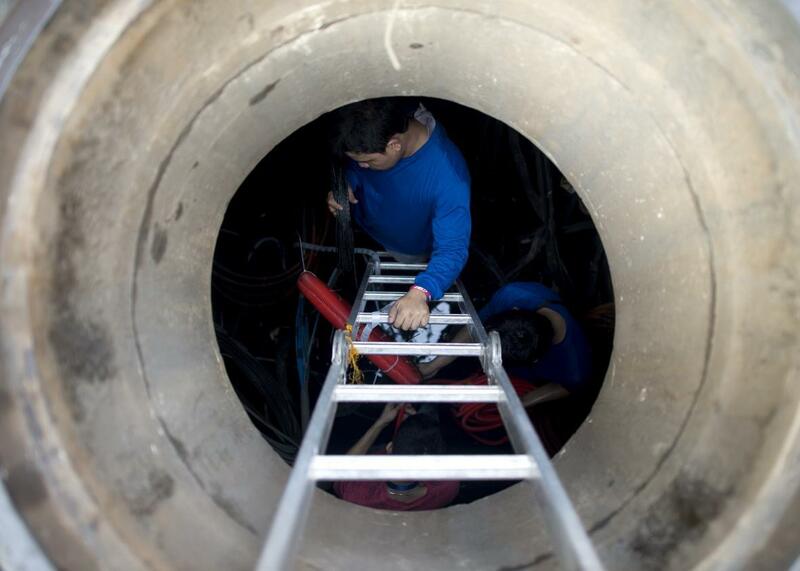 Some cities have installed underground fiber networks that no one is using. We’ve all heard about (and lusted after) Google’s gigabit Internet service called Fiber. It’s only available in about 10 cities so far, because even bringing it to those areas has been very labor-intensive and presumably expensive for Google. The difficulty of installing a brand-new fiber network from scratch is exactly what keeps most companies from expanding into new regions, leaving customers with few choices for where to buy their Internet and cable service. If Fiber wants to grow more quickly, it can’t just wait for Google to build new infrastructure, so the service is finding other ways to spread. In some cases, this fiber stays dark or its use is heavily restricted because of agreements limiting a local government’s ability to compete with a big cable company. Though Google won’t give any details about its Fiber deal yet and won’t even say who owns the dark fiber the company plans to use, it’s well-known that the city government in San Francisco owns and operates an extensive dark fiber network that brings connectivity to government buildings, schools, medical centers, and affordable housing. For years the city has intermittently considered generating revenue off of the fiber, but other projects have served as distractions. In the mid-2000s, Google and Earthlink wanted to create citywide Wi-Fi access in San Francisco without charging taxpayers anything. But friction and red tape ultimately doomed the project, and Google executives were frustrated. In order to bring Fiber to more people, we’ve taken different approaches in different places. In Provo, Utah, our Google Fiber service is being delivered over a network we purchased from the city. In Atlanta, Georgia, we’re both constructing our own network, and using existing fiber to provide Google Fiber to some apartment buildings. And now … we’ll be working with a muni-owned network to bring our high speed service to Huntsville. Like Comcast or Time Warner, Google is a large company with extensive resources, but unlike those companies, Google is entering Fiber markets as a competitor. Relying completely on Google to increase competition around the country isn’t practical and ultimately wouldn’t promote a diverse marketplace either. But if Google is one of many forces pushing for more regional competition in the cable industry, things may actually improve.